We are writing to you as India prepares to vote. By all accounts, this promises to be an enormously consequential election. Both of us – in our individual capacities – signed a letter from more than 200 writers that is motivated by the attacks on writers and artists, filmmakers and musicians. Many of our friends and colleagues have been hounded by fanatical sections that believe that the destruction of reason is a price worth paying for their ascent to power. We signed this letter because we want to stand with our colleagues – those living and those killed – whom we treasure. Amongst those killed is one of our authors – Govind Pansare – who was shot to death for a range of reasons but one amongst them is because he authored a book that we have published – on Shivaji. We hold comrade Pansare and all those who have been killed and threatened close to our hearts. In the past few months, we have been very busy – and so have been late to write this letter to you – our LeftWord Books community. First, we celebrated our 20th anniversary in mid-March with a three-day festival in New Delhi. 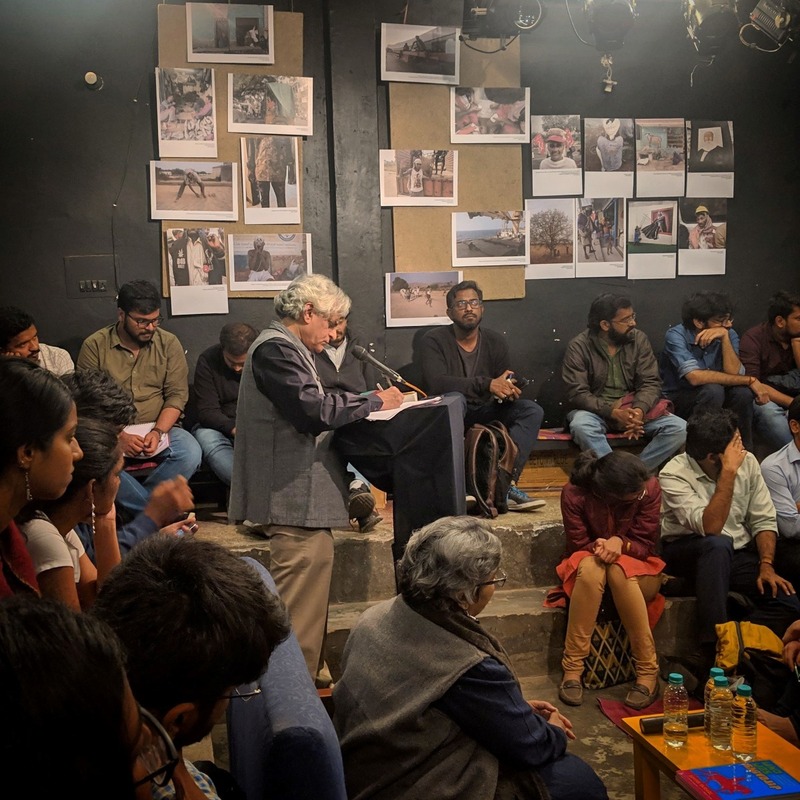 The festival began with a tremendous lecture by the journalist P. Sainath at Studio Safdar, adjacent to our LeftWord Books office in Shadipur. Sainath, March 14. (Credit: Rahul). Sainath spoke about the need for writers to be involved in the great processes of their times. The example he gave was of the journalist John Reed, who found himself in the midst of the 1911 Mexican Revolution and then of the 1917 Russian Revolution. On that last event, Reed wrote a terrific book – Ten Days That Shook the World – which we reprinted with a cracking introduction by Sainath. The next day – at the Constitution Club – we had a full slate of speakers and book releases, including a short video made by Newsclick on our 20 years of existence. 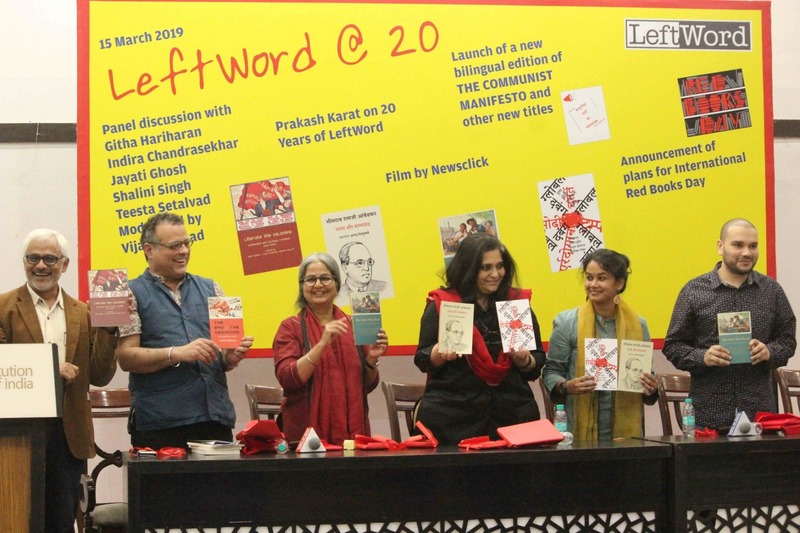 The centrepiece of our event was the release of a new edition of the Communist Manifesto, a bilingual edition of English and Hindi – with a brand-new translation into Hindi by Subhashini Ali, a politburo member of the Communist Party of India (Marxist). We had a panel discussion on a range of themes, mainly around questions of writing in an age of aggression and authoritarianism. This discussion included Indira Chandrasekhar, Githa Hariharan, Jayati Ghosh, Teesta Setalvad and Shalini Singh. A suite of new books was also released, which included books in English and Hindi. We hope to produce about thirty to forty titles a year from now on, with at least a third in Hindi. B.R. Ambedkar, Bharat aur Samyavad. Vijay Prashad (ed. ), Global Dabang. John Riddell, Nazeef Mollah and Vijay Prashad (eds. ), Liberate the Colonies! Communism and Colonial Freedom, 1917-1924. Vijay Prashad (ed. ), The East Was Read. Socialist Culture in the Third World. The following day, in Studio Safdar again, we held a workshop on making books – from writing them, to editing them, to designing them. It was a comprehensive look at a range of things that go into making books. 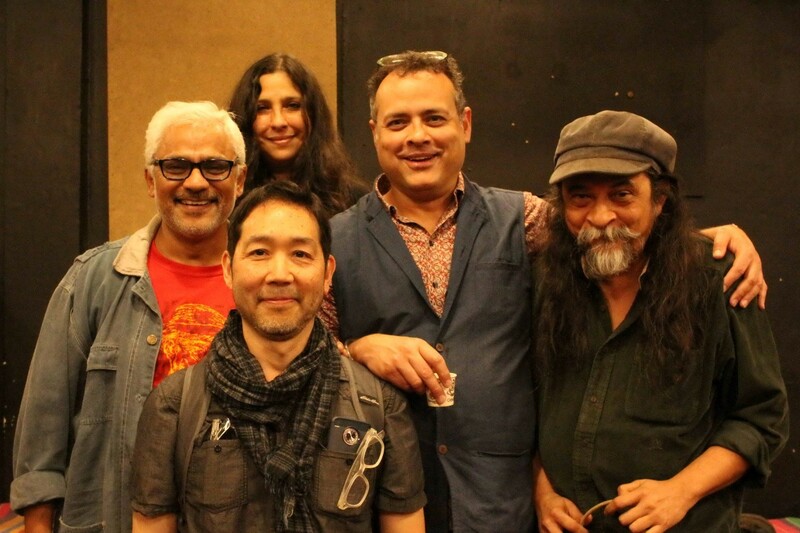 We were very grateful to be joined by Andy Hsiao (from Verso Books), Sherna Dastur and Orijit Sen.
Each of these events was very fulfilling, both intellectually and organisationally. We feel humbled to be part of a vibrant community of writers, book makers and readers. You are the reason why we work hard to produce what we do. As usual, please make sure that you are a member of the book club and please let us have your thoughts. 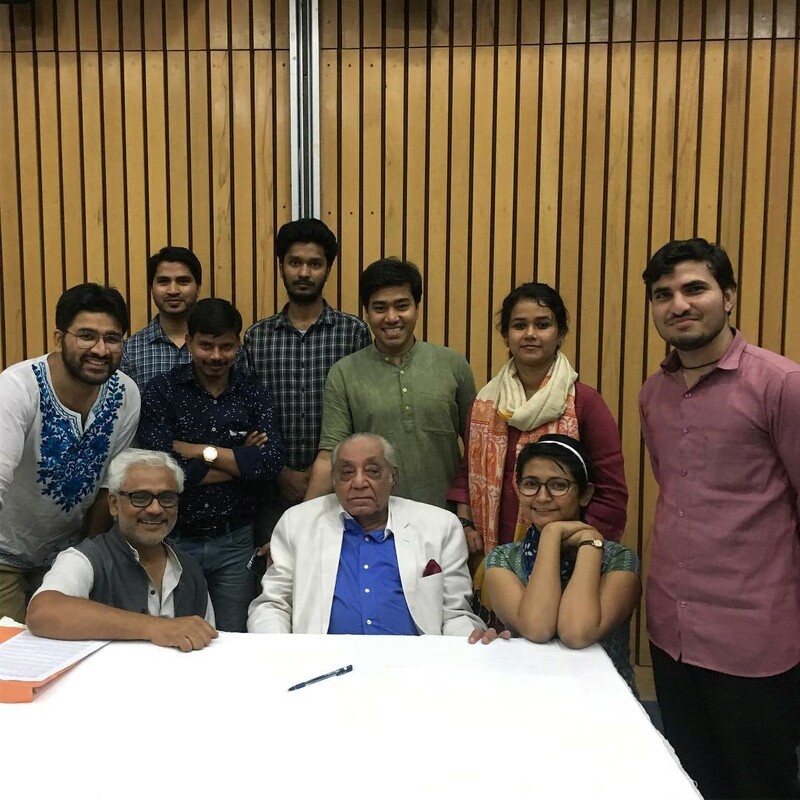 Just when we began to find our feet, we released a magnum opus, A.G. Noorani’s The RSS: A Menace to India. When the journalist Akshay Deshmane went to congratulate Noorani – one of India’s leading constitutional experts and a remarkable journalist – he said, ‘After my death, I wish to be remembered for this book.’ We feel that this is the best book on the RSS available at this time. We very much hope that you will read it (almost a third off for book club members!). But this is not the last book we’ll publish on the RSS this year. Coming up very soon: Raosaheb Kasbe’s work on the RSS and Subhash Gatade’s book on the Sangh Parivar’s riot through Indian society. And we’ll have Jitheesh P.M.’s short book on the recent history of Sabarimala. Jitheesh’s careful investigations show that the ‘traditions’ at Sabarimala are not older than the 1950s, that before then women were welcomed into the shrine. This is a book to read. Meanwhile, we would like to let you know about a project that will begin on 20 February 2020. This project is known as Red Books Day. It is no surprise to anyone that there has been a virulent attack on writers, publishers, and distributors – anyone who sits on the side of reason is being targeted. There are familiar names – from Govind Pansare to Gauri Lankesh – and then there are unfamiliar stories – such as the assault on Tripura’s Desher Katha. 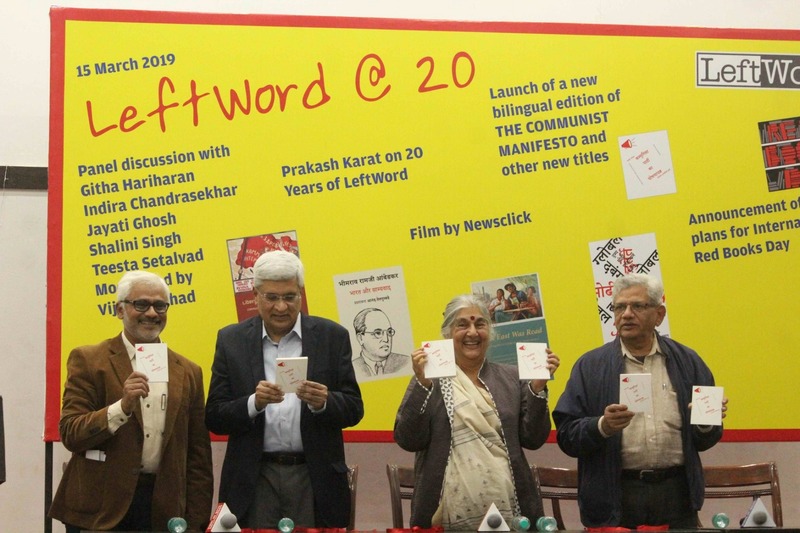 From Indian left publishers will come on 20 February 2020, Red Books Day. We are calling on publishers from around the world to join us in this project. What we are asking people to do is to sign up with us as participants (we’ll have a method for this soon, but for now, write to [email protected]), then on 20 February go out onto the streets and read the Communist Manifesto in your own language. Please film your act of Red Defiance and we will put them up on our website. 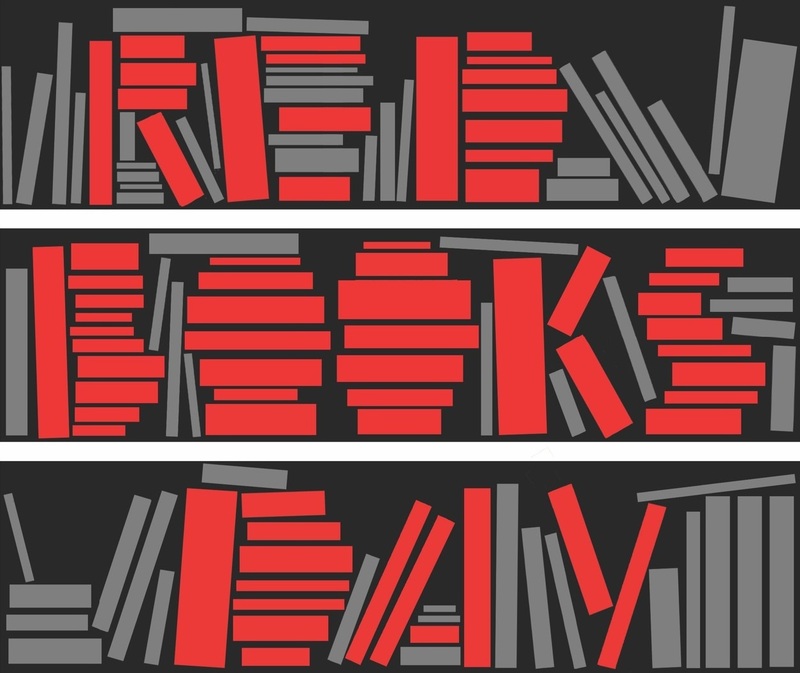 We hope to make this an annual celebration of red books. Below, our logo, designed by our friend Orijit Sen. The next time we write to you, the 17th Lok Sabha elections would have been over and the temperature in India will be – well – different.